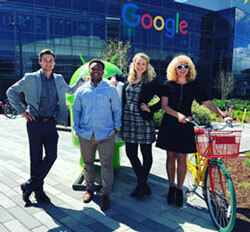 Entrepreneur Scholars visit with some of America's most innovative business leaders. The Donald McNeely Center for Entrepreneurship is an entrepreneurship education resource that provides classes, coaching and assistance to entrepreneurs. 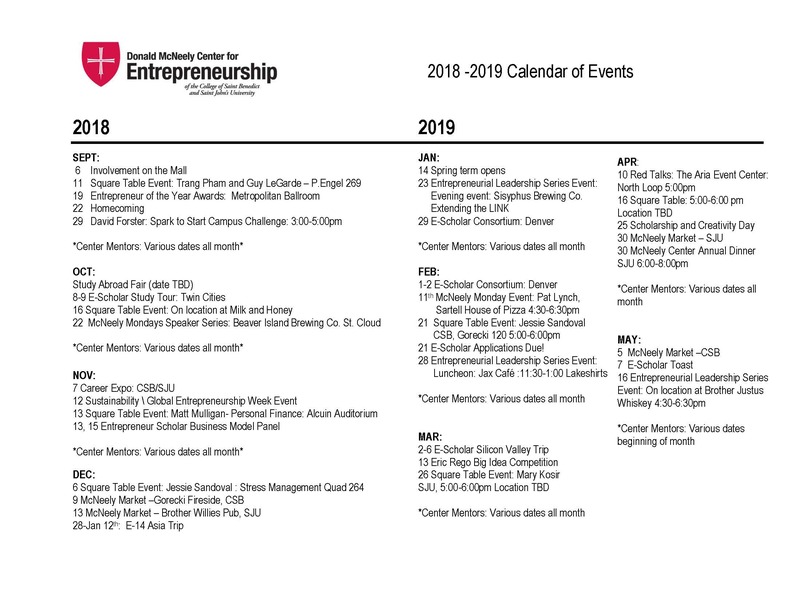 It builds relationships among and between CSB/SJU students, faculty, alumnae/i, and community members to create and strengthen the entrepreneurial spirit. McNeely Market! Come shop with us! 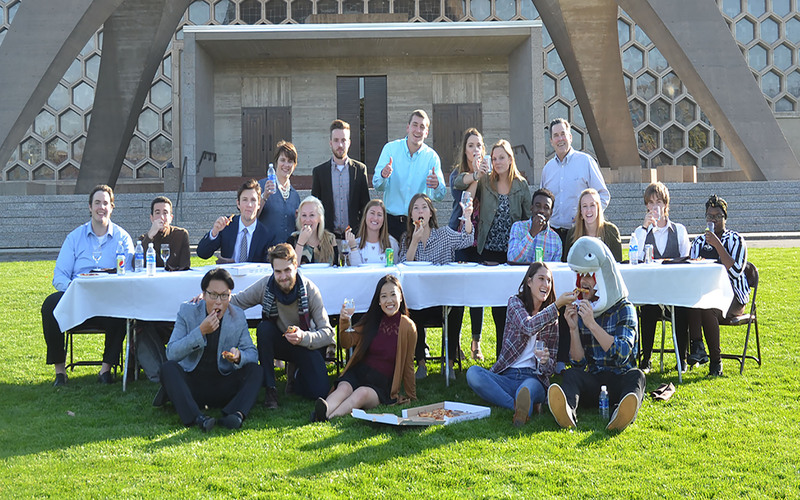 Student, staff and faculty ventures, and products! Want to be a vendor at this event? Email Kelli Gradin at [email protected] for more information, and to reserve your spot as a vendor! On location - Watch for details. Want to see what is happening with the Center all year? There’s a moment of truth that stands between innovators and entrepreneurs. Within that moment, you start something – a venture all your own. Everything after that is merely figuring it out. The McNeely Center provides a thoughtful blend of education, mentorship and encouragement to students from any major. With guidance and advice from McNeely staff, faculty and alum mentors, our students don’t simply wrestle with ambiguity. They embrace it. 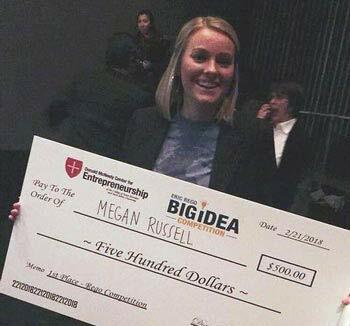 Megan Russell pitched an idea known as “Produced for You” that would distribute food that grocery stores can no longer sell due to regulations to needy members of a community via a food truck. Read more. Join our crazy family. Embolden your entrepreneurial spirit with the Entrepreneur Scholar program. Learn more. We annually honor three Johnnie/Bennie alums for their entrepreneurial work following graduation. See past winners. Created to honor David’s memory and example, the Spark to Start is a team-based race throughout Saint John’s University, infused with a series of challenges — both physical and intellectual. Get more details.